Members of a family are killed off by an unknown assailant. 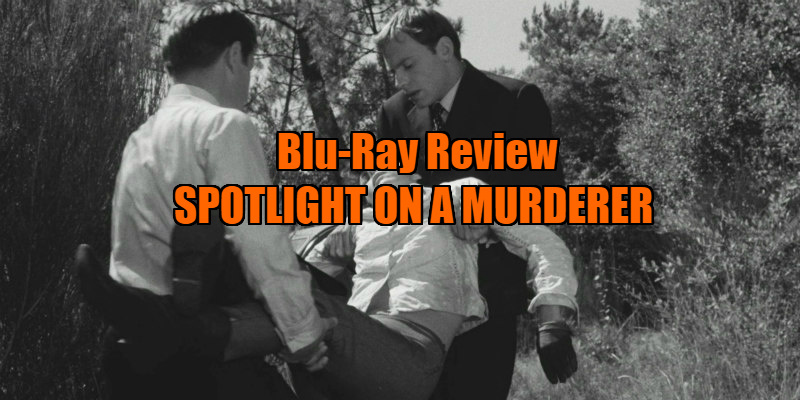 I have to confess that before Arrow Academy's press release landed in my email inbox, 1961's blackly comic thriller Spotlight on a Murderer was a film that had never so much as pinged my cinephile radar. Given the talent involved - it's directed by Georges Franju (Eyes Without a Face) with a script by Pierre Boileau and Thomas Narcejac, the writing duo responsible for the source material that gave us both Les Diaboliques and Vertigo, and features French screen legend Jean-Louis Trintignant among its ensemble - and its undoubted influence on several subsequent filmmakers, this high def release is long overdue. Taking its cue from Agatha Christie, Franju's third film gathers a bunch of toffs in a large mansion, in this case one of those labyrinthine castles that dot the French countryside, only to bump them off one by one. The movie opens by taking the audience into its confidence and showing us the terminally ill family patriarch Count Herve de Kerloquen (Pierre Brasseur) lock himself inside a secret room located behind a two room mirror, where he subsequently passes away. As the doctors had given the Count mere hours to live, he is declared legally dead. However, with no corpse present, his heirs must wait five years before they can get their hands on his money. This leads the Kerloquens to develop the castle and its grounds into a tacky tourist attraction complete with elaborate light and sound shows. As the weeks pass, the Count's cadaver fails to emerge, but other corpses begin to pile up as each of his heirs die in mysterious and suspicious circumstances. With its curious blend of gothic horror and ensemble farce, it took me a while to settle into the rhythm of Spotlight on a Murderer, but eventually it clicked - this is Franju's The Trouble With Harry, a ghoulish caper that shouldn't be taken remotely seriously, despite its dark premise and thriller trappings. Franju and his writers are having a lot of fun here, playing with audience expectations and offering us more red herrings than a communist fishmonger. There's some class commentary thrown into the mix too, with the estate's staff serving as the voice of reason in a movie otherwise populated with cash-hungry sociopaths. If the narrative drags in parts, patience is rewarded by some standout sequences that will be familiar to fans of '70s Hollywood. Ridley Scott is clearly a fan, as there's a sequence here involving the protagonists tracking an unseen presence through lights on a board that feels like a blueprint for one of Alien's most memorable set-pieces. I also suspect Richard Donner may have been paying this film a nod with his 'nanny suicide' scene from The Omen, which bears an uncanny resemblance to this film's climax. While Spotlight on a Murderer's comedy may play a little too parochial and dated for a modern audience, Franju's visual invention has lost little of its power. A vintage location featurette from the film's set, a trailer, reversible sleeve and booklet. 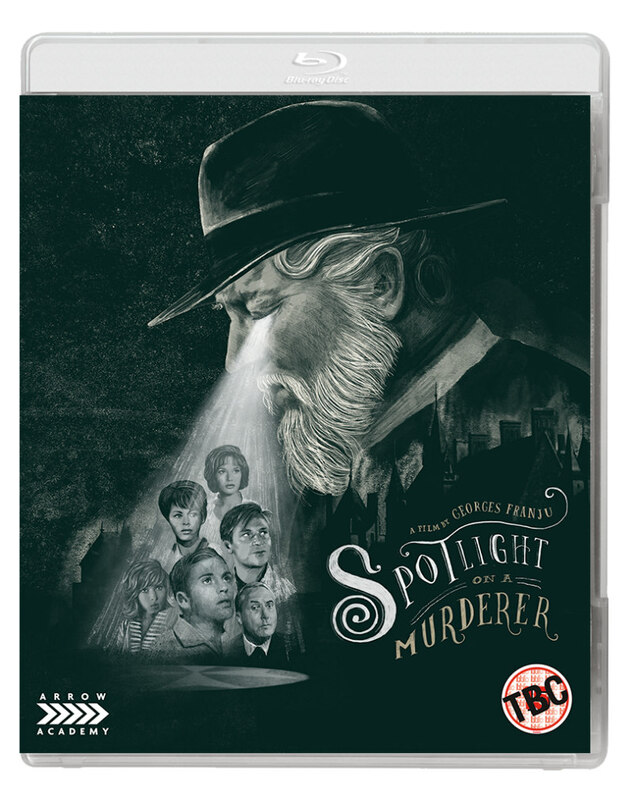 Spotlight on a Murderer is available on dual format blu-ray/DVD May 29th from Arrow Academy.